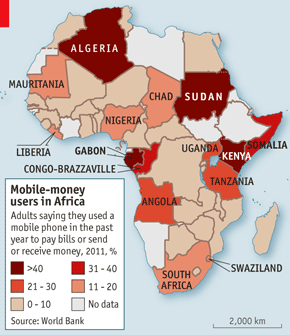 MANY people know that “mobile money”—financial transactions on mobile phones—has taken off in Africa. How far it has gone, though, still comes as a bit of a shock. Three-quarters of the countries that use mobile money most frequently are in Africa, and mobile banking in some of them has reached extraordinary levels.